Films which teach by tracing Dr Bachï¿½s journey; his discovery of the plants, their properties and what became the Bach Flower Remedy system. Twelve short films about the first remedies discovered by Dr Bach known as The Twelve Healers. The flowers are shown in their natural habitat. Nickie Murray in conversation with Julian Barnard, describes the emotional states of each plant which informs the action of each remedy. English with subtitles in French, German, Italian, Spanish, Portuguese, Japanese. Region-free. For Dr Bach there were clear patterns that form as we deal with life’s problems. Mental and emotional states which become a part of us, obscuring the simplicity of childhood. These are the Seven Helpers. An English language film with Spanish subtitles. 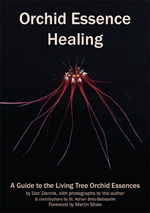 The final instalment in Healing Herbs teaching trilogy, this DVD tells the story of the last group of remedies discovered by Dr Bach known as The Second Nineteen. They represent, for the most part, the acute conditions faced in daily life that often lead back to deeper patterns expressed in the Seven Helpers and Twelve Healers. An English language film with Spanish and Italian subtitles. DVD PAL, 4:3 format, 30 mins. In 2004 a small group lead by Julian Barnard went on a mission to Western China following the footsteps of ‘Chinese’ Wilson the Edwardian plant hunter who first discovered Cerato and introduced it to Europe. Cerato in the wild is still confined to an upland valley that borders the high Tibetan plateau. There the whole group found itself drawn to the plants contemplative home. Charles Stewart’s photography follows an individual journey towards healing using the Bach flower remedies. The film introduces the earliest remedies discovered by Dr Bach, known as The Twelve Healers. Follow the journey of the spring water as it passes from darkness to the light, receiving the impression of the flowers. An English language film made by Charles Stewart.